Every year at playoff time it is fun to see which teams and athletes will rise to lead their teams to Victory in the second season. Nobody is going to move on without a total team effort and to win it all the entire offense and defense must play their best football of the season. Injuries and backup players make a huge difference and weather can too. All of those things are true. This is also the time of the year that the stars must shine. The best athletes on the field have more and more pressure to shine and that comes at a time when they are facing the best competition they have seen all year. In these games, we see huge performances by many of the Regions best. 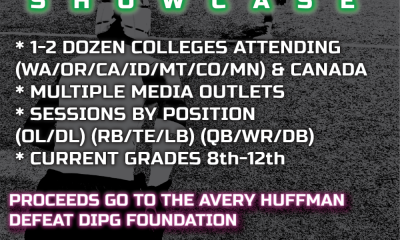 In week two we saw some outstanding efforts and want to give those guys a shout out. We continue to maintain Lowe is a 5 Star recruit. He has the ability to score so fast and so often that the net effect is that opponents get demoralized. Behind his terrific Offensive Line this kid racked up 321 yards and 5 TD’s and he could have had 10 TD’s. The Oly’s were manhandled by the Crusaders and Trey made it look easy. This is what he does- can he keep doing it the next 3 weeks and win a Title? I think so. He is that good. If he stays healthy the UW have a guy coming in who is very much capable of being the next great back wearing Purple! Lake Oswego = Post season play. Rarely a year goes by that master Coach Steve Coury does not produce a talented squad. The formula always includes a nice mix of pass and run with great O line play and tough defense. 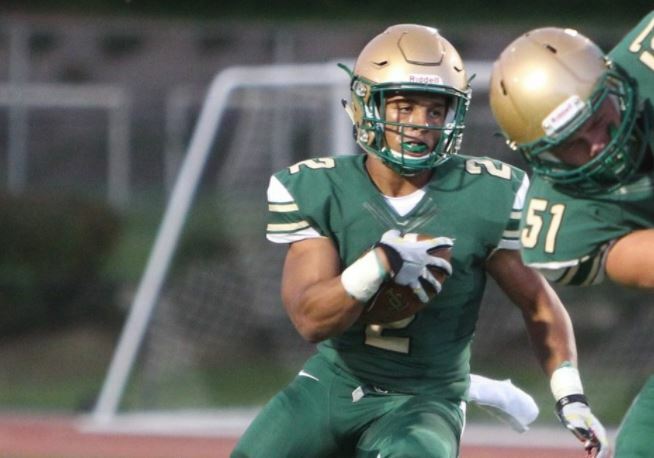 This last week a 2019 stud rose up and put the hammer down from his RB spot. Collin Bracken looks the part of another Laker who plays slash and smash football. He and the Lakers meet Trey and the Crusaders next week in a battle that has been fought before and led to many classic finishes! Catch Collin right here. Coach Shawn Stanley is another giant in the HS Coaching world- one of the best men on and off the field we have known and watched over the years. His Senior RB did what great RB’s do and played big in a big game. Grant was a dangerous foe and Denning laid down the hammer behind his O-line to make a statement. Joining the masterful group of Coaches who won the game mentioned above is the master himself, Head Coach Craig Ruecker. 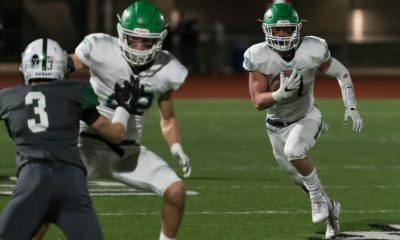 Tigard has been flirting with a state title since Ruecker arrived and his ground-pounding offenses always feature more than one back. 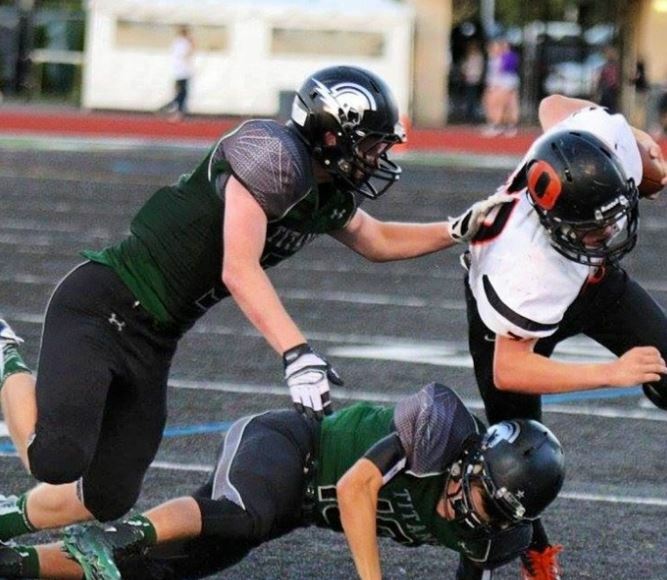 On Friday the big O-line made holes and worked their butts off against a super tough Tualatin squad. Hard running by Drew Carter, Jake Leavitt, Spencer Smith and Malcolm Stockdale led to 4 scores with each athlete nabbing 1. Hard enough stopping 1 good back- try stopping 4. And this Tiger squad has overcome the loss of top rated Braden Lenzy to an injury a few weeks back. 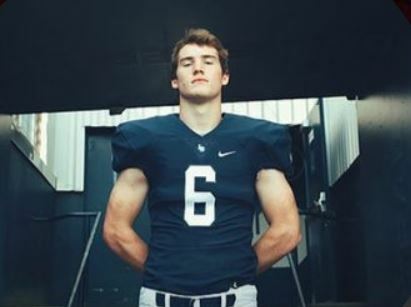 Lenzy is a Duck commit and his brother Max- just a Sophomore – had a nice Pick Six and holds a nice offer from the Ducks too. The rain is falling and the Tigers are running – they are a serious contender to take it all! Spencer Smith was one of 4 Tigers going for a rushing score Friday Night. We love this kid. His speed and stature make up the combination of power that is hard to stop. Sheldon is so loaded with talent that it seemed like this game was going to go their way. There can be no doubt that Elliott’s transfer to Central Catholic from Jefferson in the offseason changed the talent and complexity of the Rams squad. 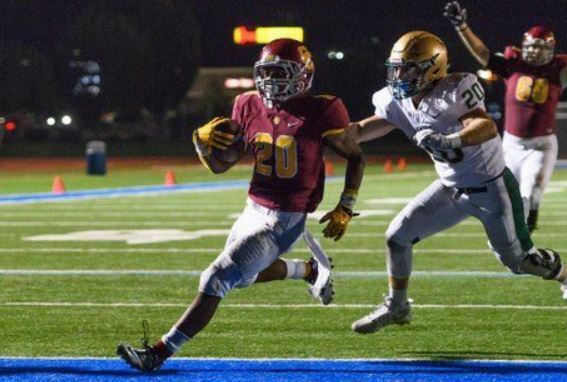 He is a classic runner and Central has become RB University over the years with Cameron Scarlett (Stanford) and Ryan Nall (OSU) being just two of the great backs they have produced. Another great coach in Steve Pyne is leading these Rams. Elijah is climbing the ranks and to us he is a kid on the verge of great offers and choices. 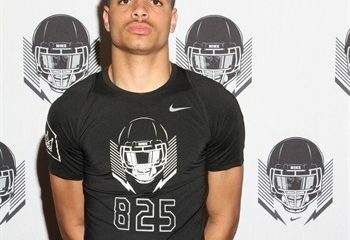 Elijah Elliott has risen to perhaps the #1 recruit in Oregon for the 2020 recruiting class. We have been tracking the Racanelli brothers all season. Canon, the QB, and his brother Sawyer who is a WR. 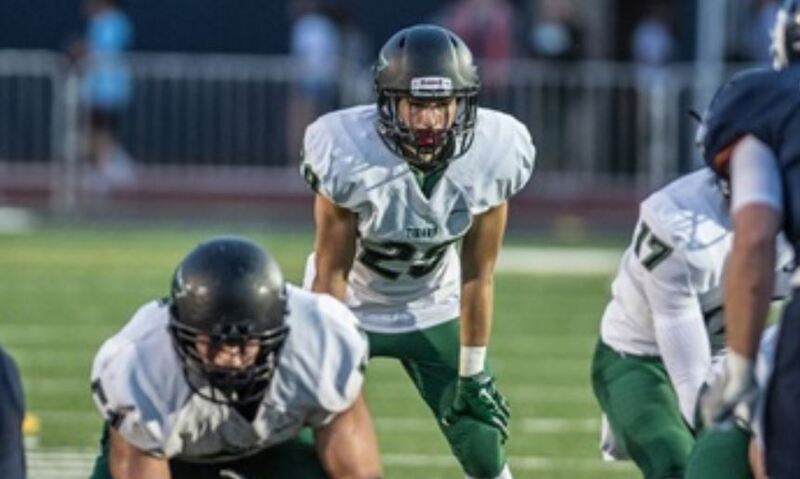 These are two of the most prolific players in the State of Washington and while this performance seems out of this world, it is not for a kid like Canon. He is the real deal and we sure hope his collegiate options open up! The Hawks host Liberty next week. 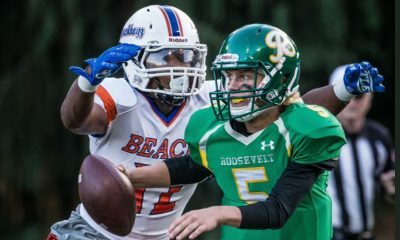 This is a super talented football team and our friends at the Columbian caught all the action featured below. More Star Performers Coming Sunday – Submit yours to our Fb or Twitter feed to get them some NWPR coverage!